Compressed Air Plant are suppliers of good quality used compressors, generators and misc construction equipment. We have been supplying equipment since 1992 and are well respected for being an honest and trustworthy company. 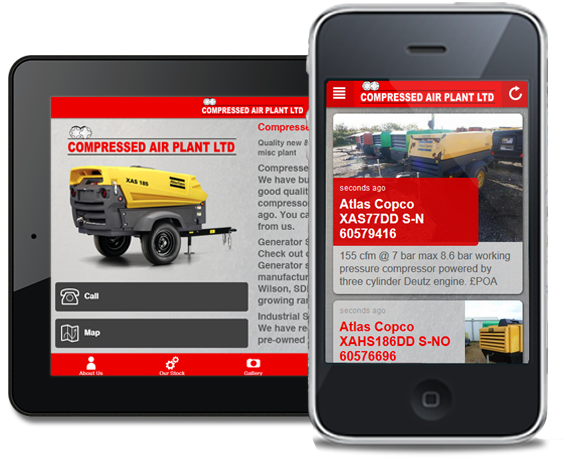 For more information about Compressed Air Plant business browse our website. We have built up our reputation selling good quality pre owned Diesel compressors since our inception 25 years ago. You can be assured of a great deal from us. Check out our range of pre owned Generator sets from leading manufacturers, Atlas Copco, GEN SET, Wilson, SDMO to name a few of our growing range of used equipment. We have recently added some good quality pre-owned Industrial compressors.